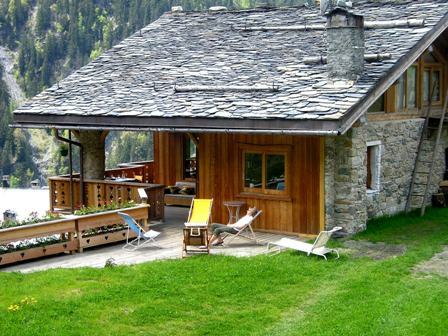 for 14 persons located in Peisey Nancroix (Savoie , Aime - La Plagne). Le Villaret at ground floor. Beautiful chalet, spacious lounge/dining-room, 6 bedrooms, all with ensuite bath- or showerroom, ideal situation close to Vanoise National Park, hiking, VIA FERRATA, mountain-biking, rafting, Les Arcs 3,5km. The chalet is not available in the winter! ( Small pets allowed ).